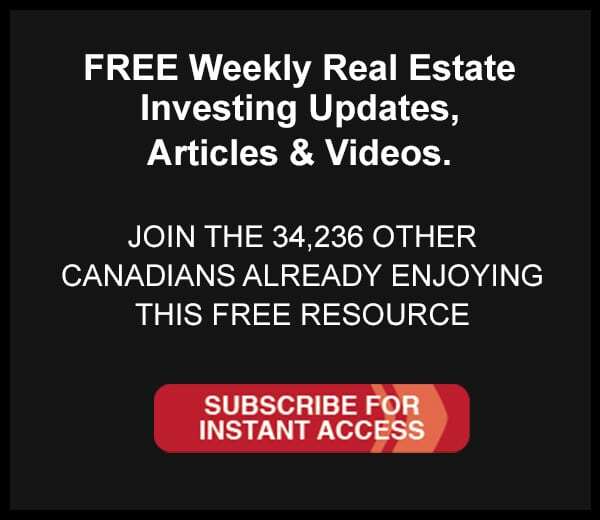 The Government changes some mortgage rules, the newspapers have fresh “meat” for their headlines and Canada gets whipped up into a frenzy. I’m sure it sells newspapers. It definitely drives visits to our websites, we noticed quite a spike on Tuesday! And it sure does create a bit of excitement, doesn’t it! We’ll spare you the details of the announcement as we’re sure you’ve read about the different mortgage changes announced earlier this week – several times. We’d rather make a few observations about the reaction to it all. As always, we fundamentally believe if everyone is panicking about something there’s opportunity knocking for those who choose to find it. And we believe that Canadians were VERY VERY lucky with the announcements made and we’ll explain why a little further down. But first, let’s analyze what is going on…. Stage 1: The most common first reaction to ANY news of almost ANY kind, but especially to something they perceive as negative, is pure panic. The sky is falling kind of stuff. And that’s what is happening right about now, sheer panic by some. Some will even blame the Government for everything from their own situations to the state of the single-family home rental market in Canada. We’re definitely past that. Recently we actually found ourselves getting our hopes up for the power of government when the Conservatives kinda/sorta promised the end of capital gains taxes if you re-invested within a set time – but we were quickly brought back down to earth when it didn’t materialize. Stage 3: The world moves on as it always has. Alternative financing options pop-up because of the vacuum created. The economy hates vacuums and when there is a need apparent someone will fill it. Mark these words. It was not that long ago that investors had to put 25% down for investment property. Shocking we know, but 100% true. And this was less than three years ago if memory serves correctly. There was one mortgage program for a small investment property that we knew of offered by GMAC that allowed 15% down payments. There were likely others, as there always are, that we weren’t aware of at the time. After some time Genworth decided to offer a 10% down investment program. Then some B-players, like Xceed Financial, offered 5% down on an investment property. Then CMHC announced similar products and ate their lunch. Now that CMHC is gone will other mortgage products begin to pop-up again? Likely. Investors who already own property and plan to grow their portfolio of cash flowing assets will have less competition. In other words, the amateurs get shaken out of the market. Harsh but true. For many Canadian investors, this news really doesn’t change much at all. At some point in everyone’s investing career, you’re faced with having to put down 20% on your next investment. That’s been the reality for as long as we can remember. And it was 25% down before it was 20%. And investors with a few properties under their belt have had to raise at least 20% for some time and likely began their investing careers by investing with 25% or 20% down. What does change is the investor who was just starting out now has to get creative like the rest of us! A. Saving up enough money to put the down payment together themselves. B. Finding Joint Venture partners. Either active partners or silent money partners. C. Searching high and low for the one-off bank and/or credit union that allows 10% down payments with a 10% second. These actually still exist today. So Why Do You Think We’re Lucky? OK, you want the upside to all of this? They really haven’t cooled the real estate market with this at all. They’ve actually almost done nothing. They have put a dent in condo speculation for sure. We actually know some investors who purchased 45 brand new pre-construction condo units in a single building in Toronto. But everyone with a property right now will likely see some continued appreciation right across the country because interest rates are still at ALL TIME record LOWS. This will drive the market and raise prices. So all those speculators out there are lucky because they won’t get creamed like they did in the early 1990’s when the Bank of Canada raised rates aggressively… we’re talking multiple percentage points in a single month. All those property owners that were buying to “flip for cash” for quick cash got very very lucky. If the Bank of Canada raised interest rates or the government raised CMHC down payment minimums to 10% these speculators would have had heart attacks. All those buyers that they were going to “flip” to would suddenly have gone bye-bye. That’s what happens when you don’t buy for cash flow. And that’s what happens when you buy starter condos for prices that really aren’t that “starter”. $400,000 for a few hundred square feet on the second floor sounds a little bit off, no? So by not making any real structural changes to the mortgage market, they have allowed it (rightly or wrongly) to plough ahead. And the reality is that they CAN’T raise interest rates right now. The Bank of Canada has their hands tied. It’s really an amazing situation. Aside: We’re going to be explaining this in details at our upcoming Quarterly Income for Life Member’s Event, if you’re an Income for Life Member register now by contacting our office! So they come up with these types of small mortgage announcement to try and put some psychological brakes on the market. Meaning that the government didn’t raise down payment amounts, they didn’t shorten amortization periods and they didn’t raise interest rates. They actually did next to nothing to cool the market. Even the announcements they made this week don’t take effect until mid-April (with some banks likely acting sooner). Well, we could have what our friends in the U.S. have right now. 30% depreciation across the board. And 30% required as the minimum down payment for almost any property. And some banks are asking for all cash offers. Appreciation not expected in his market for another 24 months. So much government paperwork that to even buy good deals you have to fight the bureaucratic machine. He even went on to say that he himself is not buying properties in his area of Florida and wouldn’t recommend any to us. It kinda makes 20% down payments, with super low-interest rates, in an appreciating market, where you and your tenants have health care seem like a dream. Things may not be perfect but perspective is everything. And remember, when everyone around you is running around screaming the sky is falling then there’s an opportunity to sell umbrellas. What’s the opportunity in this for you? Look for it, it’s there. Until next time… Your Life. Your Terms. Only major issue I see is the move to 50% add-back of rental income, rather than the 80% offset we used to see. Then again, if you use a lender like FirstLine, and get insurance through Genworth, that might work. It’ll just mean good times for Genworth (who went public not long ago, wonder how their stock price is doing…). Yeah, you’re bang on Chris. It’ll be soooo interesting to see what Genworth’s next move is. Interesting times! I too am VERY interested to see what Genworth does next. I think that they will continue to insure mortgages with less than 20% down.